25% Carbon + 75% PTFE—For Higher Temperatures/Pressure Applications and a higher cycle life than PTFE or RTFE. 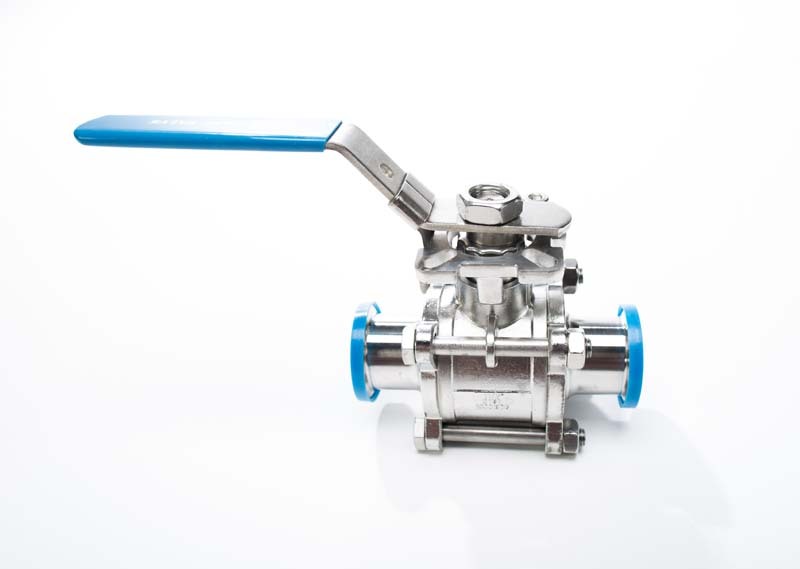 Sanitary Solutions is your source for a High Temperature/Pressure Two Way Encapsulated Seat Ball Valve to service the Beverage, Cosmetic, Dairy, Food, Meat, and Poultry Industries. Do you have a need for a two way sanitary ball valve that would be ideal for cooking oils and the Teflon® seat would not meet the cooking oil temperature? It is our hope that, as you read further, the (HOT) High Temperature/Pressure Two Way Encapsulated Seat Ball Valve will assist you in answering these questions. 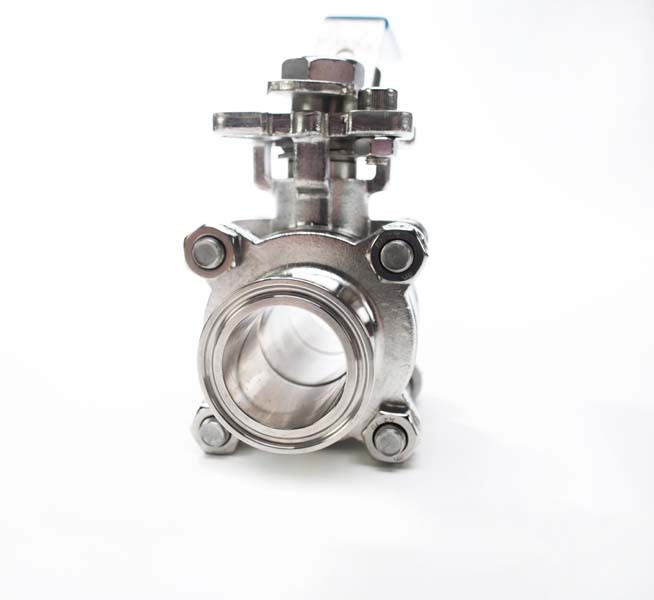 As you examine this valve by downloading the PDF Valve Sheets on pages 12 -- 15 in our "NEW SANITARY SOLUTIONS VALVES/PRODUCT RECOVERY SYSTEM CATALOG", go to page 15 and review the Seat Materials and Pressure/Temperature Charts for the seat and sizes of this valve. The seat material for this valve is 25% Carbon Filled + 75% PTFE and is specified for high temperature and pressure applications. This seat has a HIGHER CYCLE LIFE than RTFE and is Ideal for steam and thermal fluid applications. Our (HOT)Two Way Sanitary Encapsulated 25% Carbon Filled + 75% PTFE Seat three piece ball valve is designed to open 100 percent (full port design)to reduce turbulence and pressure drop through the valve. 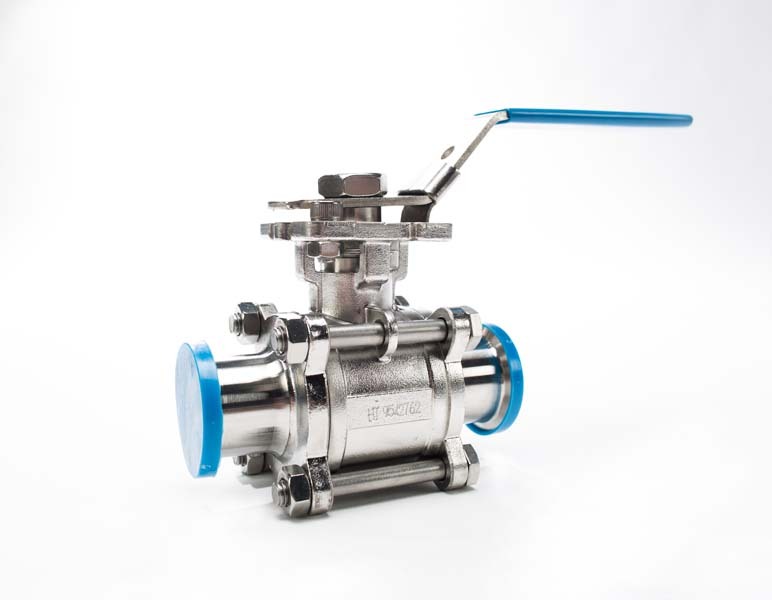 Upon opening the valve, you will notice a lock out handle to prevent tampering, ISO 5211 mounting pads for actuation, and a beautiful finish on the Inside and Outside of the valve. Since this valve is a three piece design and comes standard with a clamp end, it is easy to assemble and disassemble when cleaning or working in a tight space and requires no special tools. 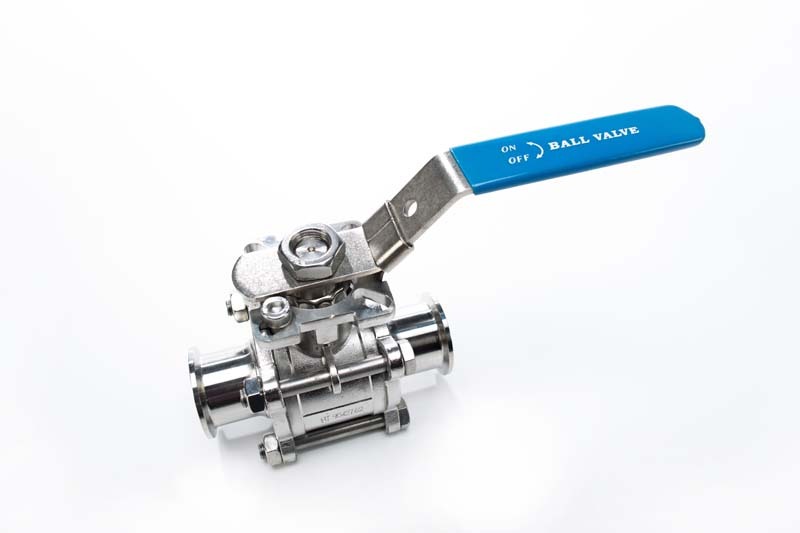 As for the wetted parts of our T316L Two Way Ball Valve, the ID finish of ball and ports are to a 20 Ra ID. Upon downloading the PDF Valve Sheets on pages 12 -- 15 in our "NEW SANITARY SOLUTIONS VALVES/PRODUCT RECOVERY SYSTEM CATALOG", take a moment and review the break torque, assembly torque, CV, and ISO 5211 stops of each valve. Please review the product breakdown and the Pressure Temperature Charts for either the Virgin PTFE and 25% Carbon PTFE Two Way Encapsulated Ball Valves that we currently stock and ask about the (3) other types of seats that we can stock supply based upon quantities. Sanitary Solutions stocks High Temperature/Pressure Two Way Encapsulated Seat Ball Valve repair kits and replacement handles for any size of our two way ball valves and will provide you with same day shipment and written confirmation-- Our sales team can assist you with stock availability, valve questions and repair kits and a copy of all the new brochures and catalogs for 2015--Call us at 1-888-909-359 or 1-855-640-7871 and just ask! !.